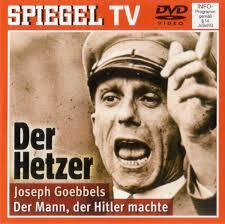 Joseph Goebbels, Minister for Propaganda in Hitler’s Third Reich (appointed 1933) had a way with guidelines. A well written article on Goebbels’ thoughts on jazz links below. Editor’s note for the easily cognitively dissonanced: inclusion of this list in this blog does not represent approval of Minister Goebbels. Josef Skvorecky on the Nazis’ Control-Freak Hatred of Jazz from The Atlantic January 3, 2012 by JJ Gould. 1. Pieces in foxtrot rhythm (so-called swing) are not to exceed 20% of the repertoire of light orchestras and dance bands. Absolutely unbelievable! In what state of mind has one to be to come up with something like that. But it had its effect – there were a couple of Swiss bands quite succesful in Germany before the 2. World War. But eventually they had to return to Switzerland because they could not play their music anymore without getting into troubles with the authorities. Germany was open to many cultural innovations such as jazz and Kaberet before the iron fist squeezed out what was termed entartete Kunst (degenerate art) from the perspective of the new and improved Reich. The years between 1933 and part of 1945 produced no art of any value. The latter portion of 1945 marked the Nullpunkt, where all points of artistic departure could begin again at zero. Indeed, Berlin was the capital of Swing before the war. And in 10 years everything was erased. Good to see that the country has found its way back and has a thriving art scene! By popular request, a reblog of a much viewed post for those who may have missed it earlier. Previous Previous post: Epictetus 55 – 135 C.E.